We will provide some lunch (cheese & charcuterie of course) and a glass or two of local cider. "The course was hugely enjoyable and informative due to the enthusiasm and dedication of James and Joe in producing such a fine range of charcuterie. They happily shared their knowledge and expertise, whilst ensuring our own specific areas of interest were encouraged and discussed. Thank you for a great day. The pancetta has been cured and is now air-drying and I'm looking forward to receiving the Salami and Chorizo in a few weeks' time!" "I absolutely loved this course. The passion and pride that James and Andy have for their products really shines through and they pass this onto us. We learnt to butcher a pig, and what cuts were used for different processes such as drying or salamis. They were happy to answer any questions we had and we were involved the whole way from butchering to the finished chorizo and salami. I cant wait for the end products to be delivered and have already started my own pancetta and filletto." "The whole experience of the day exceeded my expectations. I have learnt how to butcher half a pig for charcuterie joints and the art of curing and air dying are fascinating. Since attending the course with a friend we have made pancetta and filletto and we have created a hanging space in an old fridge with circulating air so in roughly six weeks time we will see if all the training has paid off." "What a treat being able to spend a day as part of the Somerset Charcuterie team. We take for granted the amount of work that goes into making all the yummy top quality pokers, chorizo and other charcuterie that arrives at our doorstep with a click of a button. It was such fun learning about all the different cuts of meat, what is used for what and getting stuck into doing it ourselves (although my other half did prefer to observe but learnt just as much). The guys are extremely knowledgeable and passionate about their products. Definitely a day well spent and we would do it again! (I forgot to mention the lunch - wow, what a spread! It was delicious!)" "The hands on aspects of the course were great, learning and participating in the butchery was fun and educational, as was the sausage making, you couldn't help but laugh!! The enthusiasm of the boys was infectious, and they were so keen to pass on their passion, expertise and experience. Top class day. Great lunch." "This was fantastic course, run by 2 very passionate professionals. Andy and James delivered the course in a really enjoyable yet informative way. We were well looked after throughout, the lunch in particular was exquisite. With what I learned on the day I am able to confidently take my hobby to the next level. Highly recommended"
"A hugely enjoyable day of learning about salumeri/charcuterie, with professional and very friendly guidance on how to create what the supermarkets do so very wrong and you do so very right!" "I cannot recommend these course enough. The course was clear enough for a beginner, but deep enough for us to really appreciate the art that goes into this wonderful product." "they have a genuine passion for what they do, and this rubs off on you." "I now wish even more that I had been born the son of a Master Charcutier in Provence!" 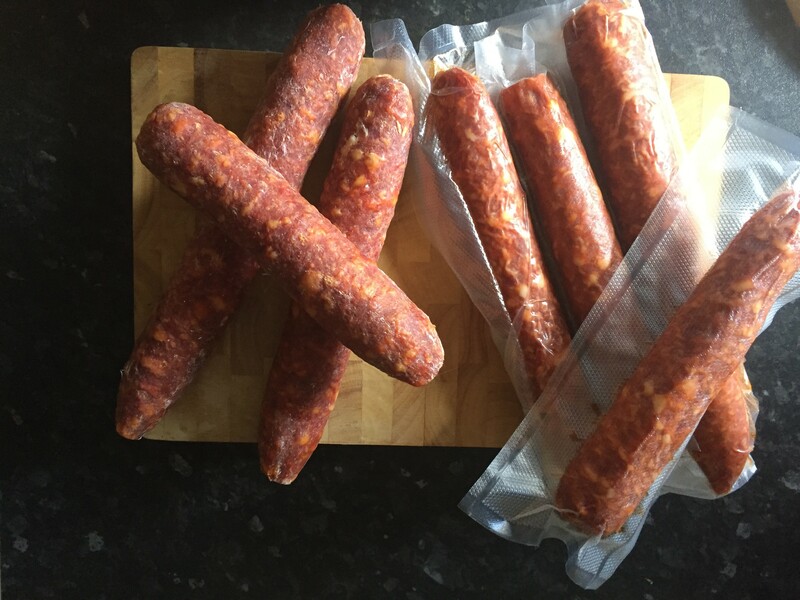 "A superb experience and came away far more confident about making chorizo!" "Fantastic day out, knowledgable friendly staff, would definitely recommend to family and friends!" "Brilliant had a great time !" "Totally loved our charcuterie course today. Fabulous laid back but professional tuition plus an excellent lunch! Would highly recommended. Thanks guys!!" "Sally and I loved the game charcuterie course from start to finish - we learned a hell of a lot, ate lovely charcuterie for lunch and an amazing dinner to round the day off - we feel we have the knowledge to make our own at home now!! The boys all know their stuff and the enthusiasm for making great food is evident and importantly we had a good laugh throughout the day." "Great day doing the charcuterie course, learning how to butcher half a pig, the curing process, a fantastic lunch featuring many of their delicious products (seriously try them if you haven't already) and then an afternoon of making salami & chorizo. A great day that i recommend to anyone who is interested in home curing or picking up some new skills." "I received a day's Charcuterie course for my birthday and what a day it was! Evebrything from butchering half a pig to the curing, drying, recipes, mincing and hilarious salami making. A fantastic local produce lunch was provided too. We were sent away with a pancetta kit to make at home (including a large cut of belly that we butchered earlier) and our salami and chorizo will be sent on when it is ready. Totally awesome and highly recommended." "I had a great day and learnt a lot - my take-home pancetta is drying in the garage as I type!" "Such an amazing day with the Somerset Charcuterie team. Exceeded expectation, learnt a lot about the process, and didn't put me off eating charcuterie! Stunning lunch provided, and I can't wait to try out the fruits of our labour in a few weeks time!" "A great insight into the study of meat preservation . My old wine cooler is now going to be converted into a meat curing chamber . All going well I will have Pancetta in a few weeks . Thank you to all the lovely people at the Charcuterie for a great day"
"Can't improve on near perfection - the food was excellent and the company stimulating." "Amazing food (and Carol is a legend, of course)"
"The only thing that would make the course better is extra days. It is fun, informative and stimulating, providing enough learning to start your own cured meats." "The great thing for me was that I received it as a present. As a result of buying a fennel salami from Russ at Frome we saw the charcuterie course advertised and decided that this would be a good birthday present. I would have loved to butchered all of the pig myself but there were other students there as well, so of course we had to share the work around. Great lunch fortunately we were able to take it outside under the walnut tree, which was a bonus. The process of making salami is relatively easy, but the temperature and humidity levels needed still seems to be a black art to me at the moment. The presentation box containing the pancetta was excellent and the meat is now in the 'fridge awaiting to be hung. An excellent course, wonderful day out and fairly priced. All the guys were great and imparted as much knowledge as we could absorb. I would/have recommended this course to anyone who has an interest in cooking and eating." "The concept of butchering and producing charcuterie was demistified and broken into its essential elements. I can't help but looking at my own pigs and thinking 'there's the hams, the hocks, the lomo' and so on!" "Brilliant hands on day for anyone, full marks." "My first piece of cured pork belly is currently hanging from my cellar ceiling - can't wait to see how it turns out! Really enjoyed the day and particularly valued James sharing his experiences of setting up and developing the business." "An excellent day. I cannot wait to sample the results." "This exceeded my expectations by a long way , I learnt almost as much just talking to you as I did with the hands on part. Great course and very nice people must keep in touch. Derek"
"It was a hands-on day from start to finish, and I learned so much. The facilities were very good, lunch was excellent, and James and Andy were informative and entertaining. Highly recommended." "A fascinating insight to charcuterie." "Demystified charcuterie - anyone remotely 'foodie' would love this......"
"The charcuterie course was very informative and provided very good "hands on" experience of making the finished product. It was particularly impressive as the guys did not withhold any "trade secrets" relating to the ingredients used or the methods needed to produce the products along with making it a fun day." "Dude - lunch was delicious"
"Dear Big Bad Wolf, Save your huffin, Somerset Charcuterie got there first. A superb day. Thank you." "An excellent day! Learned a lot from the guys and had loads of laughs whilst doing so. Cheers!." "A fantastic, hands-on and meaty filled day. This is a perfect gift for the foodie(s) in your life. The knowledge and passion that Andy and James have is infectious, leaving you with total confidence to just 'give it a go'. This a really great experience, book on the next available course, NOW!" "Lunch was amazing - think you should open a cider & charcuterie shack and offer similar! let us know if you do!!!" "A unique course, I have been on many cookery courses and this is one of the best in terms of content from butchery to a sausage ready to hang. Learn some special skills which are not easy to obtain from the WEB." "The perfect cure for a dreary Saturday in January!" "James and Andy are very keen to share their knowledge and experience of charcuterie. The lunch was very good, the course informative and enjoyable. They do what they do very well and the end product is testimony to their passion and dedication. I'd do the course every weekend if I could!" "A very informative day. Andy and James are both very passionate and knowledgeable about charcuterie and clearly take great pride in their top-quality approach to their products. The learning is very hands-on with everyone actively engaged. There was plenty of products to taste as part of the lovely lunch and lots of laughter throughout the whole experience." "Thoroughly enjoyed the course and was particularly impressed that for the six of us attending the course there were 2 or sometimes 3 'tutors' available, all of whom were really enthusiastic about their product." "James and Andy made the day really interesting and I learnt a lot about meat curing. I thoroughly enjoyed the course and would certainly recommend it to someone with an interest in making charcuterie." "A really enjoyable day delivered by 2 knowledgeable and friendly chaps, recommended for complete novices or those just wanting to see what others are doing!" For those who would like to give one of our charcuterie making courses as a gift. The voucher will come with a unique discount code covering the full cost of the course so that it can be booked online or over the phone. We will email the voucher and your unique voucher code for online purchases within 48 hours of payment. This voucher has no cash value and cannot be exchanged for cash. If the total value of the order is greater than the value of the redeemed Voucher, the remaining amount is payable by the customer using their chosen payment method. If the order value is less than the Gift Voucher value no change or cash will be given. Gift Vouchers are only valid for one use. Once the gift voucher has been used (whether in an authorised or unauthorised manner) it will become void. The Gift voucher recipient is responsible for ensuring that the unique code on their voucher is kept secret and is not used by anyone else. Vouchers must be used by the specified expiry date and will become void after this date if not used. All standard terms and conditions apply when placing an order using a Voucher. This voucher can be used on-line or at any market or festival event. We will email the voucher and your unique voucher code for online purchases within 24 hours of payment. Vouchers cannot be redeemed over the phone. If the value of the Order is greater than the value of the redeemed Voucher, the remaining amount is payable by the customer using their chosen payment method.